Despite Naruto’s main storyline ending in the manga a few years back, there’s hasn’t been any breaks in the endless slew of Naruto spinoff goods and games. A good example of that trend not seeing an end is the recently released Bandai Namco helmed mobile game, Naruto Shippuden: Ultimate Ninja Blazing. 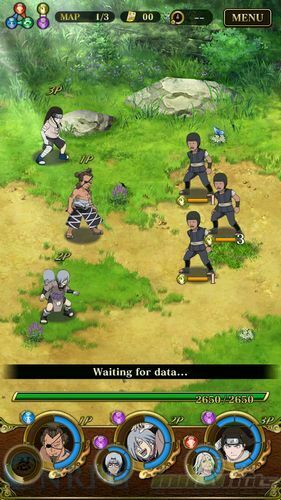 Naruto Shippuden: Ultimate Ninja Blazing is an energy-based unit placement game from Bandai Namco Entertainment for the Android and iOS. The game works through the Naruto narrative as the campaign mode of the game which starts as far back as the time when Naruto wasn’t even an official shinobi. So yea, this campaign mode likely isn’t ending anytime this decade. Building on the premise that you’re using units to face off in battles, Ultimate Ninja Blazing focuses primarily on unit build-up. This means that you’re going to go through the overused mobile game mechanic of acquiring units, leveling them up and fighting with them in PvE or PvP centric battles. Another familiar game mechanic found in Ultimate Ninja Blazing is the rock-paper-scissors weakness typing. Instead of elements though, Bandai Namco seemed to go with the human characteristics typing where you get attributes like mental, strength etc. to clash against one another. Weirdly enough however, elements would’ve also fit the game since elemental chakras became a thing at the latter part of the Naruto storyline. But why base game mechanics on the core concepts of the IP right? 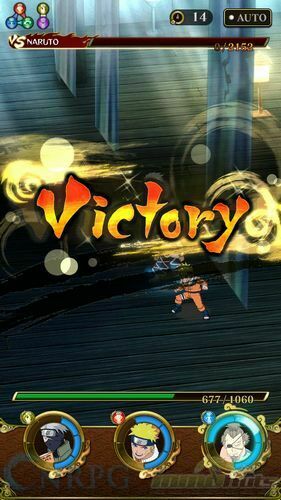 Other core gameplay mechanics in Ultimate Ninja Blazing follow the usual unit-centric cultivation games. So you get to “enhance”, “evolve” and strengthen your units by consuming a set of Naruto themed characters and items. 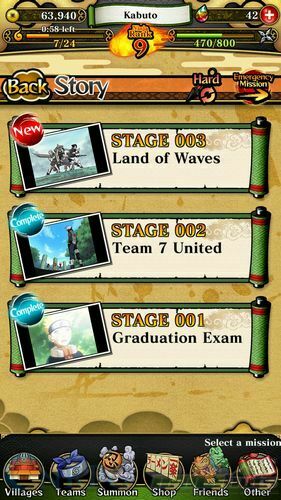 Game modes in the game contain either the mission mode, where you will be going through the whole Naruto narrative from a campaign standpoint. Yes, you’ll be getting to see again Naruto starting off as a genin, stealing the forbidden scroll from the village and learning how to do his signature Shadow Clone Jutsu. Other game modes include PvPing against other teams and also joining with other people in actual live PvE teams that allow you to go through missions. 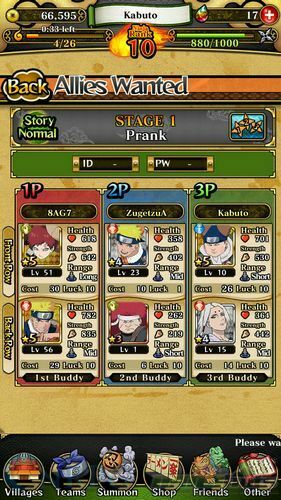 Ultimate Ninja Blazing focuses primarily on the three-man/woman team based setup that the Naruto world is known for. Each team member has a substitute slot set for them that you can switch between characters mid-way in battles. On the surface, it seems that the game has all the markings of the tired and typical F2P squad based mobile games out there. However, what sets the game apart is the core battle mechanic. Ultimate Ninja Blazing’s battles uses a mix of turn-based and product-placement gameplay. Each unit turn is segregated into putting down units at the start and letting your character attack their designated targets after. Attacks vary from normal attacks upon unit placement or activated skills called ninjutsus that you can use once the chakra meter fills up. 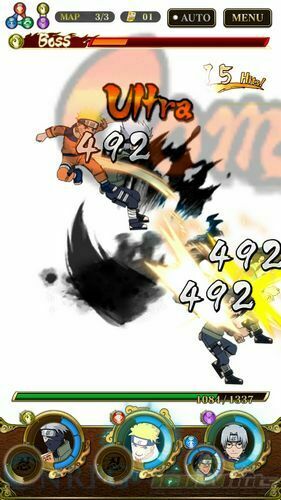 Aside from the above mentioned attack options, if your other units in the field fall within the attack range of each other, you can them combine their attacks to create combos. The combos work for pairs or even with your whole team if you placed them properly. 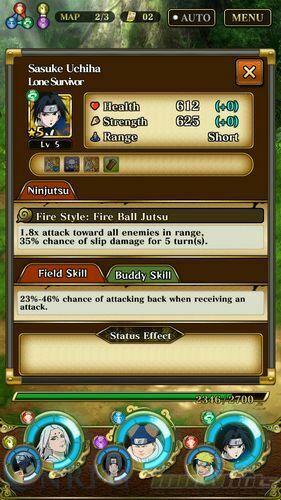 Also, you can key-in ninjutsus with the attacking unit to unleash stronger attacks. Another range and placement dependent battle skill is the boosting system. Similar to the combo system, your active unit needs to be within the range of their teammates. This serves as an alternate battle system if your teammate isn’t within attacking range and provides support to increase the active unit’s damage output. The higher rarity characters have what you call field abilities. Which is a fancier way of saying they have passive abilities that are either offensive or utility skills that help you dish out damage in battles. One of the main things you’d expect from a Naruto game like this is the access you have to the various characters to use in-game. 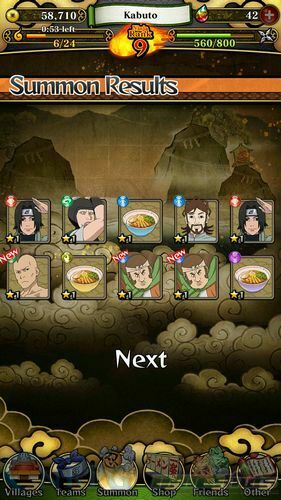 And Ultimate Ninja Blazing doesn’t disappoint in this regard. 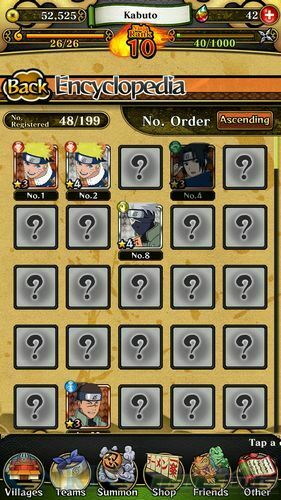 You’d have access to all the main characters and support characters within the scope of the Naruto story. Each character has various versions of themselves depending on their rarity level and affinity type. 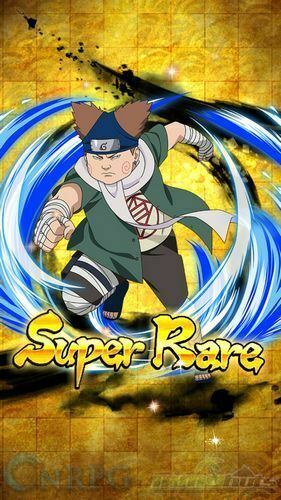 Aside from having various poses per rarity level, each unique character also has different passive and active abilities that you can factor into the team building strategy you have in mind. My overall experience with Naruto Shippuden: Ultimate Ninja Blazing has been an enjoyable romp and nostalgia trip down memory lane. It’s nice to see a refreshing Naruto based title that’s neither a 3D fighting game nor a strictly RPG one. I like that the battle system adheres to the whole squad-based combat that you can see in the early stages of the manga before battles became a one-on-one affair late in the story. 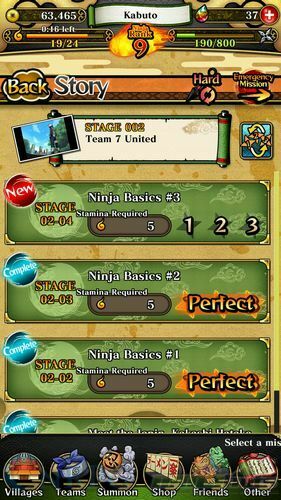 While the game uses too many tired and expected game mechanics seen in a lot of free-to-play titles, Ultimate Ninja Blazing’ unique combat system is where the game shines brightest. The unit placement system allows for deceptively complex battle strategies that require you to really think things through. I like the fact that I can get to re-experience the early stages of the Naruto narrative with the campaign mode. And while the game is still at its early stages, I believe that the narrative has enough content that Bandai Namco can continually churn out story-related missions and even side-story events for a really long while. With that said though, there will come a time that there will be a disparity between new and old players in the later stages of the game. Another issue I’ve experienced in the game is the live player field missions. While on paper it seems that it’s a good idea to have players get in parties together live, normal missions that would normally end faster by playing solo would take longer if you play with other people. If Bandai Namco doesn’t resolve this in the later game updates, or at least events that maximize this feature, it’ll be just a gimmick and players would rather just do things alone than with other players. Still, the game is one of the better F2P mobile titles out there. It has enough features to keep you playing. It’s easy to get into and the game’s battle system is a refreshing take on the whole squad-based ninja battles. If you’re someone who’s looking to relive the Naruto glory days or if you’re just looking for a Naruto title to sink your teeth into, Naruto Shippuden: Ultimate Ninja Blazing is a must download game for you.